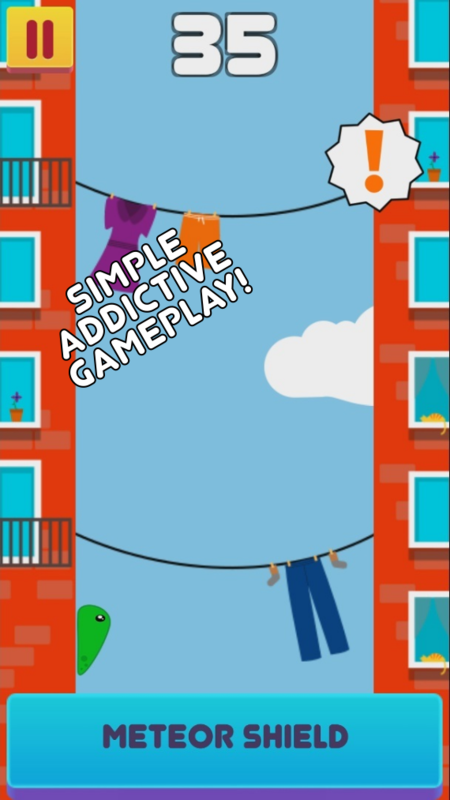 Sky Dash is a simple but addictive game. 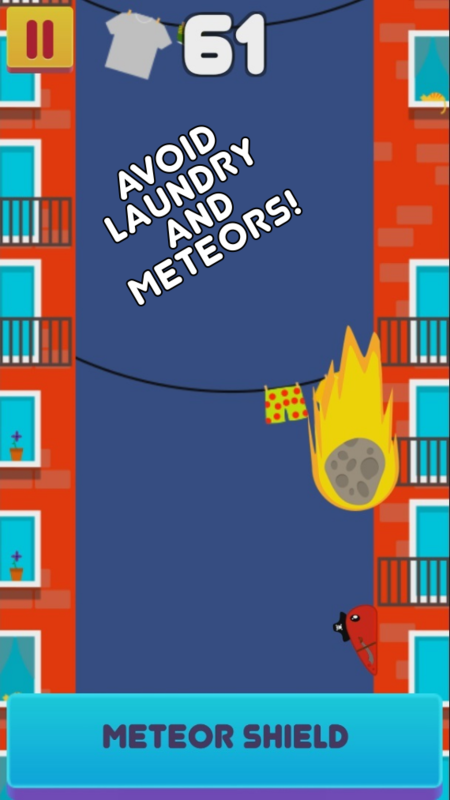 Your task is to touch the screen to jump between walls and avoid obstacles (such as lanudry or meteors). But with meteors it get more complicated, because if you can't avoid it click that blue button at bottom of the screen to activate your meteor shield (then you can survive contact with that flying space-rock). 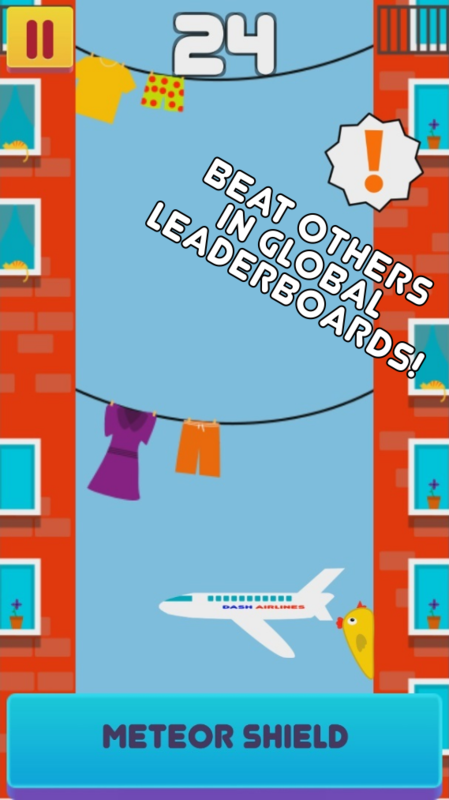 Take the challenge and compete with your friends and other players in global leaderboards (integrated with Google Play Games). Unlock achievments (Achievments are integrated with GPG to) and new characters to enlarge your collection.